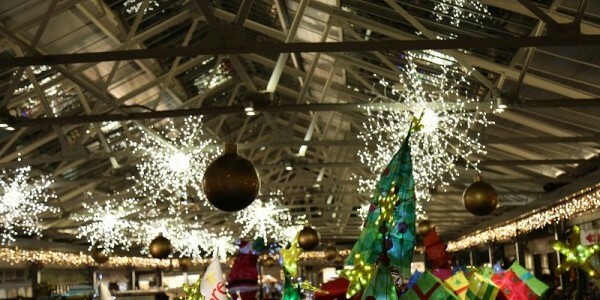 Starting off at Greenwich market, this annual lantern procession will start at 4pm at The Visitor Centre, Old Royal Naval College. Led by a jazz band from Trinity Laban and The Mayor, the parade will walk through the grounds, into Cutty Sark Gardens and into the Market at 5pm for the big Christmas Lights On. More info here. Founded by the the team behind Street Feast, this pop-up festive town that first started in Victoria Park is making its way down town, to the South and is residing in Clapham Common for its first year. Expect drag cabaret, bingo, brass bands, kids’ raves, Mexican wrestling and a special family Christmas show. And that's all just in one tent! For the full schedule of events, click here. Back again for another Sunday of festivities, The friends of Dulwich College will be hosting another great Christmas Market in the grounds of the college. More info here. Wandsworth chamber of commerce will be transformed into a hall full of stalls this 1st December in what is set to be a Christmas fair of grand proportions. An eclectic program full of kids games and singing and much more can be expected. Full info here. 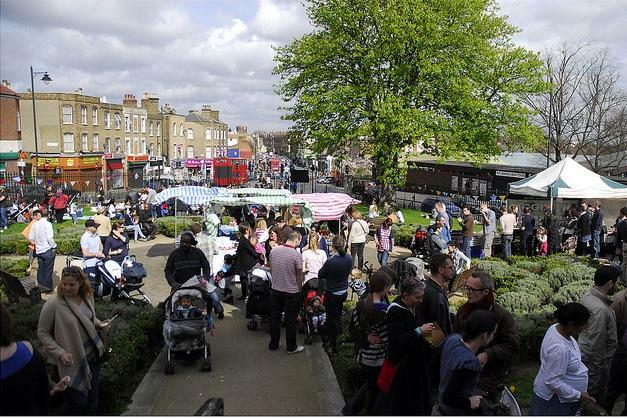 Hither Green’s annual fair at Staplehurst Road is set to be full of festivities. Complete with carol singers, mince pies and a hefty supply of mulled wine, Hither Green locals can amble around this lovely market that takes place just outside the main train station. A large Christmas tree is usually present and decorated, overlooking the market and has it’s lights turned on around 6pm for sunset. Remember to look out for us with our stall selling our membership cards and local prints. If you survive the cold for that long, be sure to check out this spectacle. 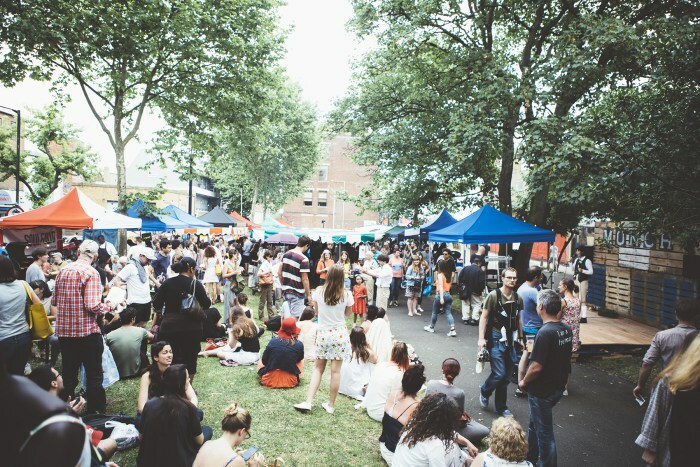 As part of West Norwood's monthly street market, this festive themed feast is going to include all the gorgeous street food and stalls that normally appear, but you can also expect extras, including jingle bells, baubles, and more sparkly decorations to get you in the festive spirit. Oh and a mince pie or 2! For more info, click here. Join the folks over at Crafty Fox Market for their official Christmas Market this year, held in none other than Brixton’s favourite venue, The Dogstar. You’ll find three floors of the finest designer/ craft makers selling original gifts alongside drop-in workshops, DJs, mulled wine and The Tea’s Knees tearoom. There will be different traders each day, and you can check out the listings for each day here. Find them back in the gorgeous backdrop of Warwick gardens for another year of joyful festivities. The Pexmas team are sure to put on another fantastic Christmas event, with mulled wine, stalls, street food, tunes and more to keep you pumped over the weekend. More info here. Located in Dulwich Picture Gallery, enjoy a wide range of handmade and local produce to find unique pressies, festive food and tipples, and stocking fillers and treats. Get into the full festive spirit with mulled drinks and Christmas classics by pop-up choirs. More info here. Forest Hill’s annual market is set to be another fantastic day of festivities in the scenic grounds of the Horniman Museum & Gardens. Pick up any seasonal produce from their Farmer’s market, and families can take part in craft workshops, whilst the Carol singers can keep you entertained and fresh mince pies keep you full and warm. More info here. Winterfest at Crystal Palace park is set to be a large event with a Christmas Market included. There will be festive themed rides, carousel, ice rink, street food, bavarian bar, the Christmas market and giant observatory wheel, to name a few. Santa will not only provide his own grotto but will also have a rollercoaster for children to enjoy. Check out further details here.